Meticulously handcrafted, signature motifs and rhythmic contours are celebrated with graphically bold compositions in the Nuur collection. 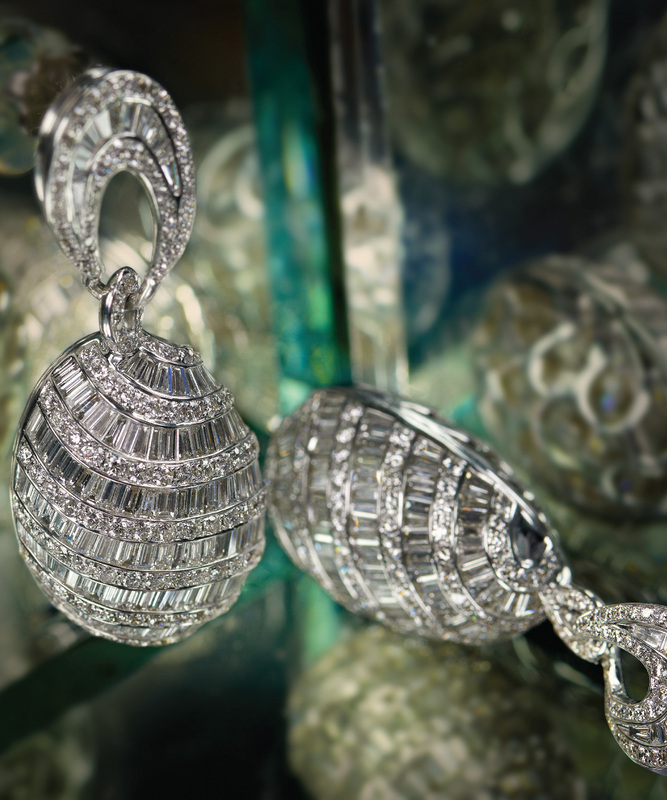 Exquisite craftsmanship creates a refined allure as ethereal designs pay a tribute to graceful femininity. Inspired by various forms of knots, twists and twirls, Nuur Collection enunciates a rich mélange of rose, yellow and white gold metals. Diamonds in horizontal and vertical settings celebrate an alliance with bold motifs as they revisit decades of tradition with contemporary creativity. 12.85 carats of fine baguettes and marquise diamonds enclose accents of Zambian emeralds in these stunning drop earrings. 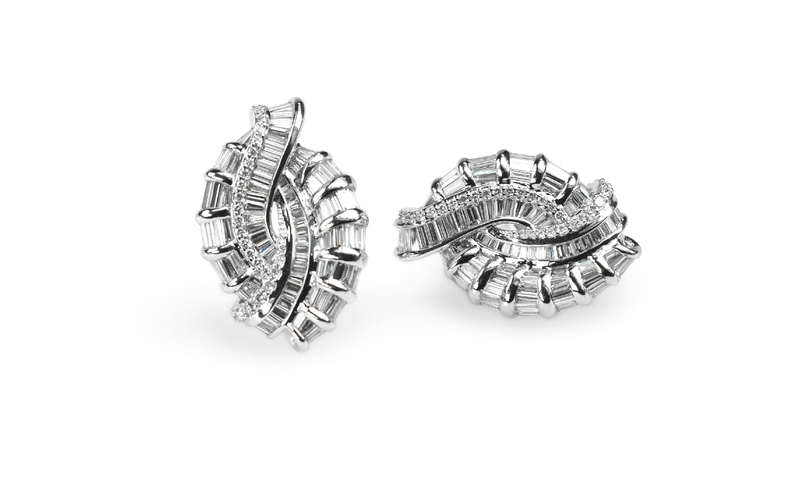 The subtle hues of round brilliant cut and baguette diamonds effortlessly mimic the movement and highlight the intricate lines in these white gold earrings. 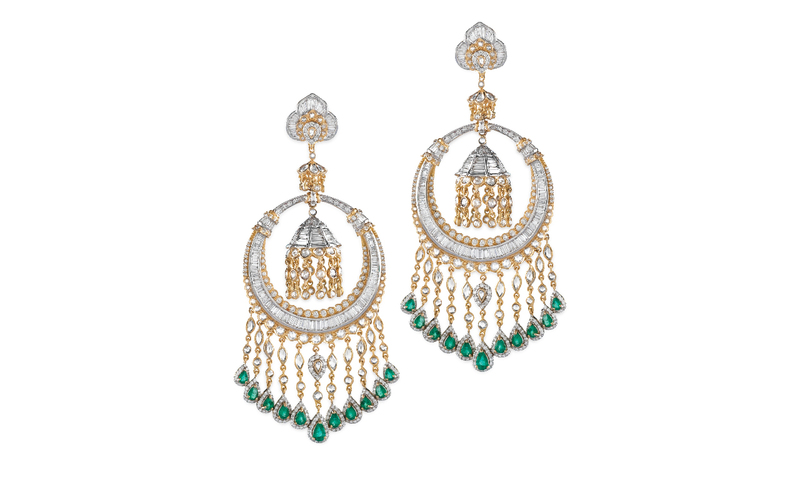 13.60 carats of baguettes, round brilliant cut and rose cut diamonds form a mesmerizing crescent with fine Zambian emeralds adding to the charm in these gorgeous Chaandbali earrings. 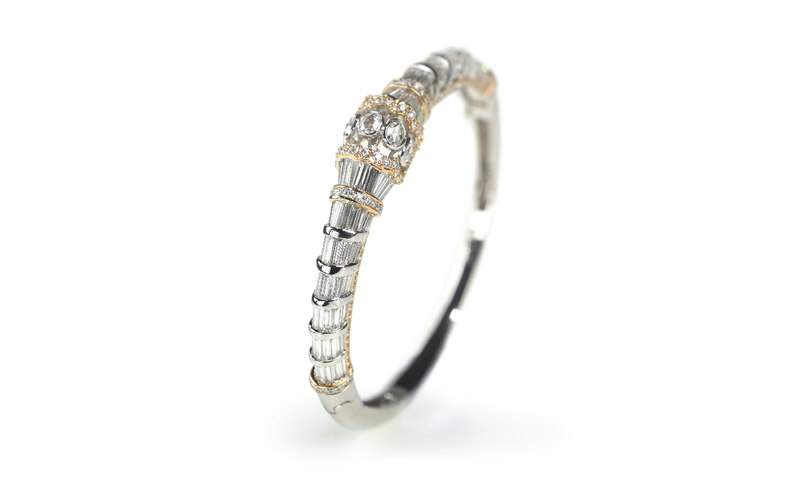 Fine baguettes are offset by an opulent grace of round brilliant cut diamonds adding up to 11 carats. 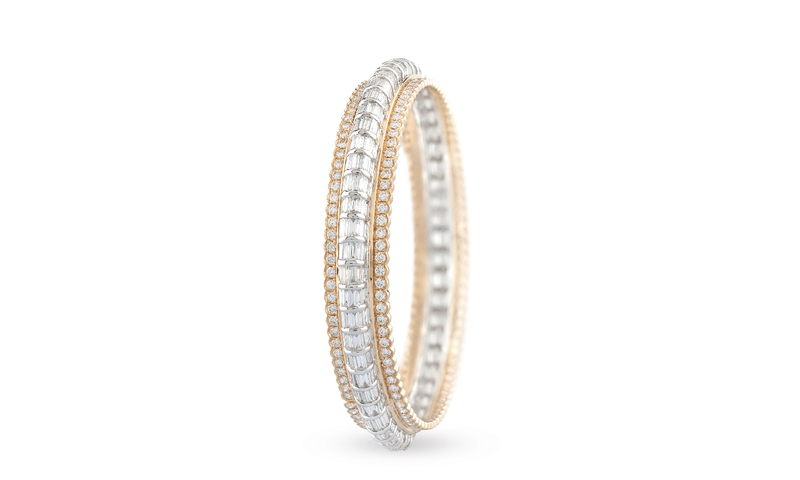 6 carats of fine baguettes, round brilliant cut and oval rose cut diamonds form graceful striations in this Nuur bangle.